Who will be the king of the IMS road course? Find out at the INDYCAR Grand Prix on Saturday, May 11, the exciting start to the Month of May. Will Power opened his historic May sweep with a victory last year. Can Power repeat, or will another star become the ultimate road warrior of the IndyCar Series? 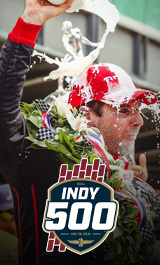 Visit IMS.com to get the best tickets now at the lowest prices!